Editor's Note: In the January 2017 issue, a group of innovators and leaders look back over different realms of therapeutic practice and offer their view of the eureka moments, the mistakes and misdirections, and the inevitable trial-and-error processes that have shaped the evolution of different specialty areas within the field. Here's one reflection. In 1978, when the Psychotherapy Networker was born, I was just beginning medical school. Back then, little was known about the workings of the living, dynamic brain, but by the mid-’80s, technology in the form of CAT scans and MRIs enabled us to see some aspects of neural structure and function inside our previously opaque skull. Still, as I started my training, first in pediatrics and then in adult, adolescent, and child psychiatry, I struggled to find a way to combine my fascination with science with what I was learning as a psychotherapy student. What I sampled from the smorgasbord of therapeutic modalities—from family and couples therapy to psychodynamic methods and cognitive-behavioral approaches—seemed to inhabit a world separate from important developments in the broader scientific community—in fields like neurobiology, child development, evolutionary psychology, cognitive science, anthropology, sociology—that might advance the craft of psychotherapy. At that time, we were taught that the brain was fully formed by adulthood. But if this were true, what in the world could we do as psychotherapists that might lead to lasting changes in our clients’ brains? The orthodox teaching in neurobiology also asserted that certain regions “gave rise” to specific mental functions, like memory, mood, and language. If this were true, then a malfunctioning mind was due to dysfunction in a particular region—and short of giving a pill, what could a therapist do to improve that region’s functioning? Luckily, these two axioms would soon be overthrown, as we learned that the brain responds to experience throughout the lifespan by changing its function and structure, and that you could look to the connections of regions—and grow those connections—to understand how to move clients from dysfunction to function, even in adulthood. But yet another obstacle was getting in the way of our recognizing the fresh possibilities that were opening up. We still believed in something Hippocrates had asserted 2,500 years ago: the “mind is what the brain does.” Could our mental lives—our emotions, thoughts, memories, and meaning-making narratives—be nothing more than simply neurons firing off in our head? If our mind was only a brain, we were left with a self-contained, single-skull view of mental life—which implied that our relationship with others, all the richness of human connection, was superfluous to mental functioning. Deep down, unsupported by much scientific evidence to the contrary, many therapists sensed that this simply couldn’t be the whole story of the mind. Then came the 1990s—“The Decade of the Brain,” as dubbed by President George H. W. Bush—which brought us a new perspective on the brain as self-renewing, with capacities to rewire itself in response to changing circumstances. This went well beyond old assumptions about our innate, hardwired limitations. New findings about neuroplasticity took us beyond anecdotes and metaphors and vague theories into a more measurable science of human nature, incorporating both the biological and the personal. For me, one of the first steps in a new, science-based view of psychotherapy came with the work on attachment theory by people like John Bowlby, Mary Ainsworth, and Mary Main. Together, the different threads of their work not only showed how early experiences shape our personalities, but in a finding with vast implications for psychotherapy, revealed the central importance of a coherent narrative in people’s grasp of their own lives. Mary Main showed how if adults could create reflective, coherent, and emotionally rich narratives about their childhoods, their own children were likely to form a good, secure relationship with them, no matter what type of attachment they themselves had had when growing up. It wasn’t what had happened to them as children, but how they’d come to make sense of what had happened to them that predicted their emotional availability as adults and the kind of parents they’d be. An equally important discovery with powerful implications for psychotherapy was the discovery of the role of the horn-shaped hippocampus and how it created the difference between implicit and explicit memory. Implicit memory is a form of emotional, sensory, or behavioral memory that doesn’t include recalled facts or place inner experience on a timeline from the past. Trauma can flood the amygdala to create intense implicit memories but shut off the hippocampus so that the horrible sensations of life-threatening events are blocked from becoming explicit memories. That’s why people with PTSD experience their memories in the here and now, without having the sensation of remembering them. They find themselves overwhelmed by the retrieval of powerful sensations drawn from pure implicit memory that lacks a sense of something coming from the past. This process makes PTSD survivors vulnerable to flashbacks and dissociation. It also reveals how distinguishing a past memory from present life can enable clients to move forward into the future without the fear that the past will continue to haunt them. The key is the neural integration between differentiated areas of the brain, allowing the past event to become no more and no less than an aspect of an autobiographical story that makes sense of life. By the mid-’90s, together with a group of colleagues at UCLA from a range of scientific disciplines, I began to explore the relationship between the mind and the brain. Along with others in clinical fields, we explored ways that integrating brain functions might be therapeutically beneficial for clients, especially those who had an impoverished sense of their own past and couldn’t really feel or express emotion. We found that lots of clients who usually intellectualized their way through talk therapy responded well to guided imagery, sensate body focusing, and practice in using and picking up on nonverbal cues. Inspired by the work being done on neuroplasticity, we began to look at how therapy can catalyze neural growth to create long-lasting change. Could it be that the way you think can actually change your brain? In the first decade of the new millennium, interest in mindfulness was beginning to burgeon in the field, offering new evidence, now measurable through advances in technology, that the way we focus attention within awareness can change our brain. 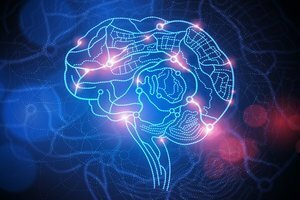 Neural firing changes neural connection, and if we intentionally pay attention, this can transform the very structure of the brain. Mindfulness, we learned, promotes the integrative function of the various regions of the brain, including the prefrontal cortex. It allows brain circuits to fire together that perhaps have never fired in this coordinated way before, giving people a sensation of inner awareness that they may never have had. It can open the pathway to neural integration—the linkage of different parts of the brain—and enhance powers of self-regulation. Almost every mental health problem—anxiety, depression, eating disorders, personality disorders, thinking disorders—are issues of self-regulation. Ultimately, the goal of therapy is to optimize self-regulation, the coordinated flow of energy and information through the major systems of the brain—brain stem, limbic circuits neocortex, autonomic nervous—and then between one brain and another. When we’re in this secure, stable state of mind-brain-body equilibrium, we can face life’s vicissitudes with some measure of emotionally calm flexibility, self-awareness, and reason. As we broaden our appreciation of what science can teach us about the complexity of human functioning, it becomes clear that clinicians serve as transformative attachment experts, whose job it is, in effect, to help rewire unintegrated neural connections, to reintegrate (or sometimes integrate for the first time) different areas and functions of the brain—implicit and explicit memory, right and left hemisphere, neocortex with limbic system and brain stem. The past 40 years have given us a view of the mind that encompasses an emergent, self-organizing, embodied, and relational process that regulates the flow of energy and information. We now know that where attention goes, neural firing flows, and neural connection grows. We’re finally equipped to embrace the wide array of sciences to see the myriad ways therapy can focus attention to stimulate the coordination and balance of neural firing that leads to the growth of neural integration and optimal health. Helping people develop more integration goes beyond reducing symptoms: it helps them thrive. And integration also has its moral dimensions, pointing us in the direction of being kind and compassionate to ourselves and others. So now, more than ever, we as mental health practitioners need to be aware of the crucial importance of integration in human functioning and find ways to harness the power of psychotherapy to create a kinder, more compassionate, and integrated world. This blog appears in our January/February 2017 issue, The Connected Self: Therapy's Role in the Wider World. Read more FREE articles like this on Brain Science & Psychotherapy. I find Fr. Keating's work on meditation helpfull in going beyond mindfulness.